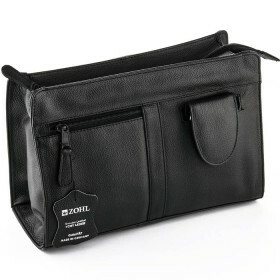 Does your travel involve you looking sharp and well-presented? 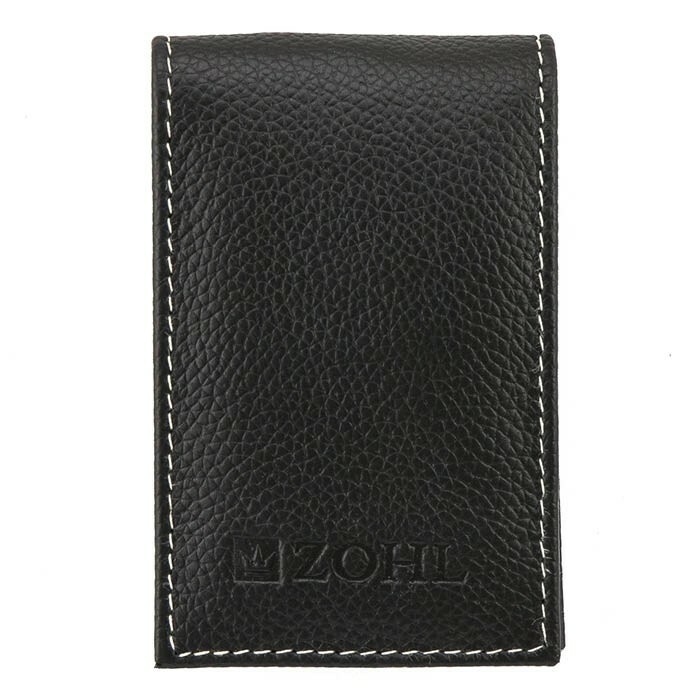 ZOHL leather manicure set is made in Germany from start to finish, to give you pleasant nail grooming experience when away from home. 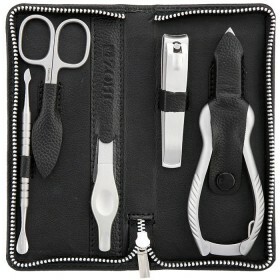 It includes four essential manicure tools crafted from fine German stainless steel with lasting sharpness of the cutting edge. 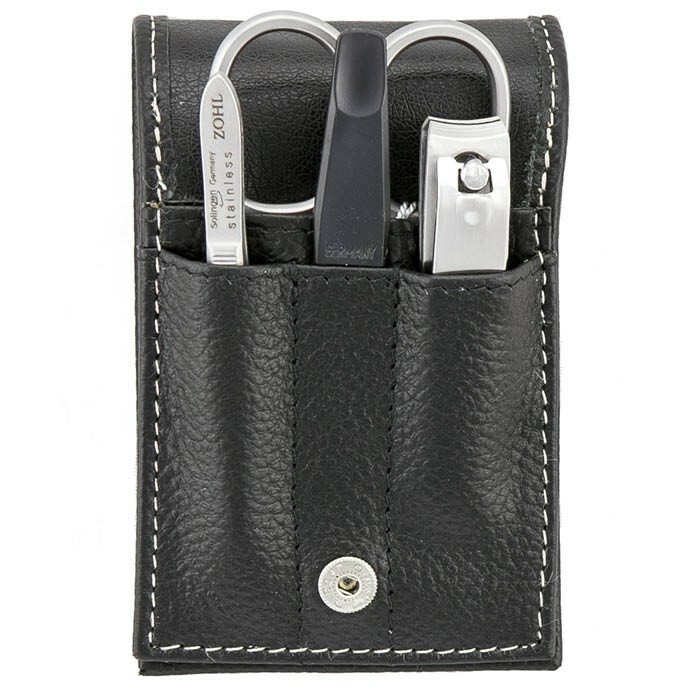 Leather case in classic black colour,with individual pockets for each tool, has a stud closure and stores the manicure instruments securely in your travel bag. 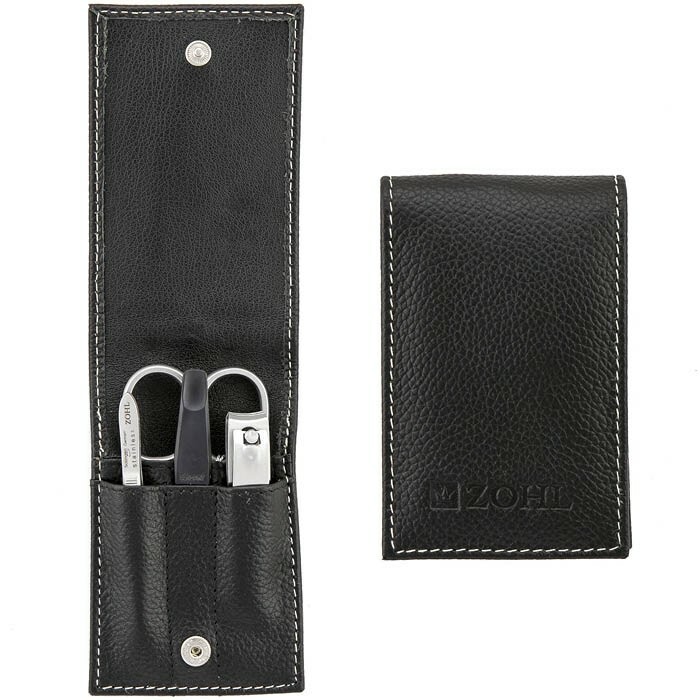 ZOHL travel leather manicure set is crafted for a person who is often on the go and appreciates their nails feeling strong and healthy – as well as looking great. 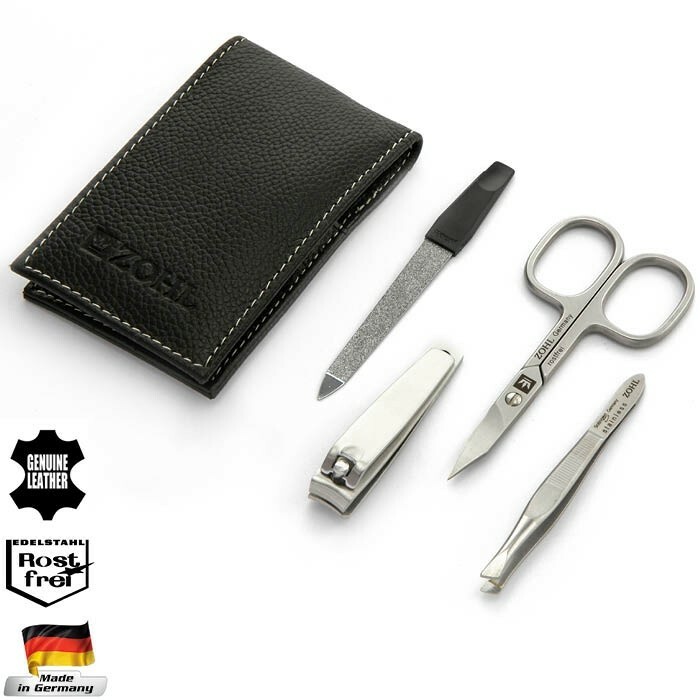 Don't trust your manicure to anything less than this high quality German made manicure set designed with a frequent traveller in mind. 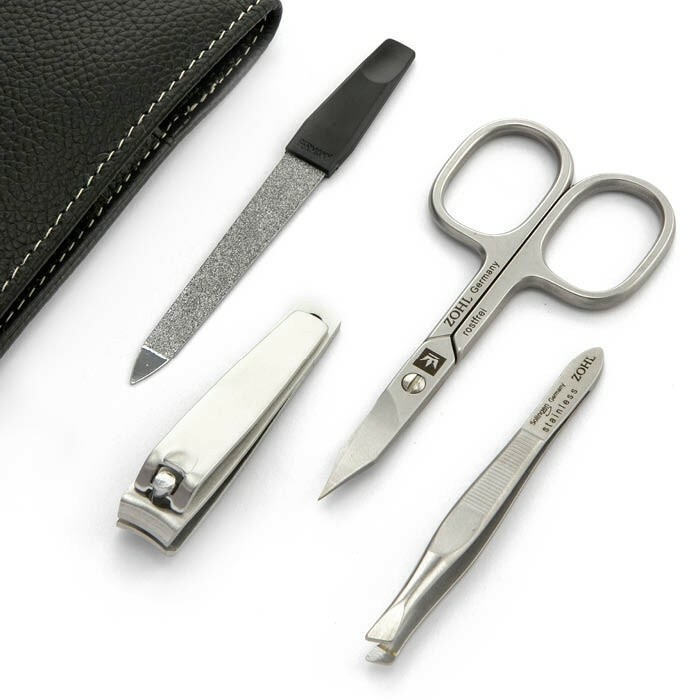 Compact in design, it fits discretely in a travel bag and includes beautifully-made stainless steel manicure tools with sharp cutting edges, to cut nails and cuticles smoothly whilst on travels. Immaculate precision and lasting sharpness of ZOHL products is achieved through state-of-the-art manufacturing aimed at producing the best German nail instruments. Sapphire nail file (9 cm). 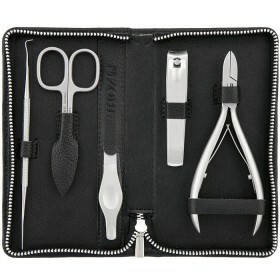 Great manicure set with sharp tools and nice leather pouch. 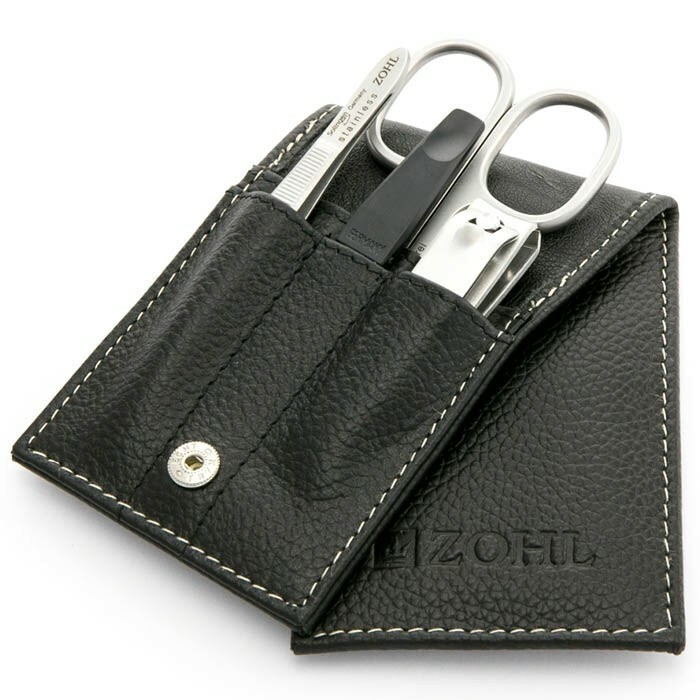 No more ugly nails for my sales reps. Bought 10 of these as Xmas gift, everyone liked it. So I just came to say thank you to Julie and the team.